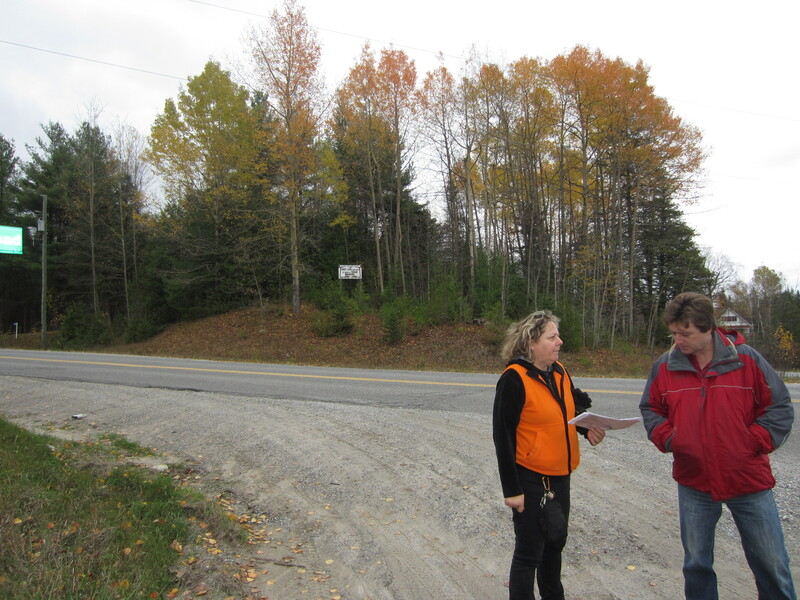 Since my last visit to Maberly, Ontario (near Perth), much has been brewing with local history buffs helping to put together information for the 200th Anniversary of South Sherbrooke (now Tay Valley Township) coming up in 2014. 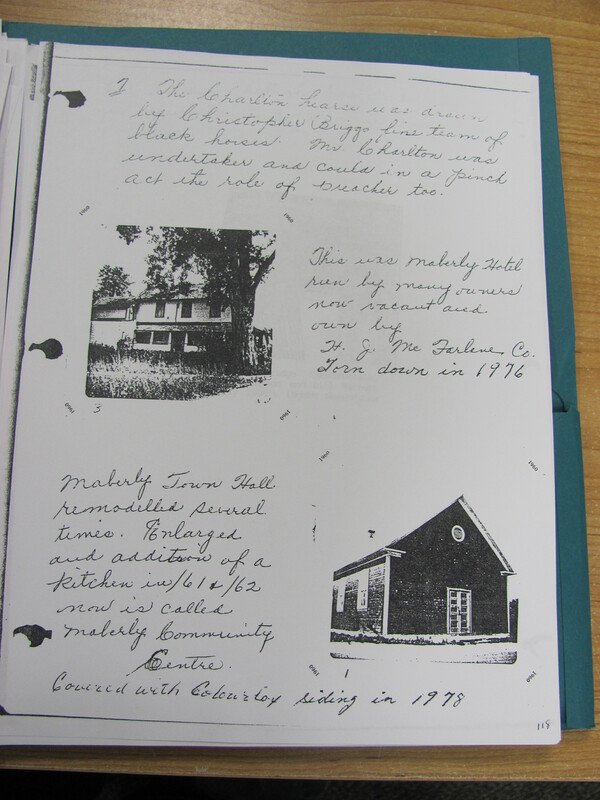 We are currently investigating the original Wesleyan Methodist chapel that was built on Conc. 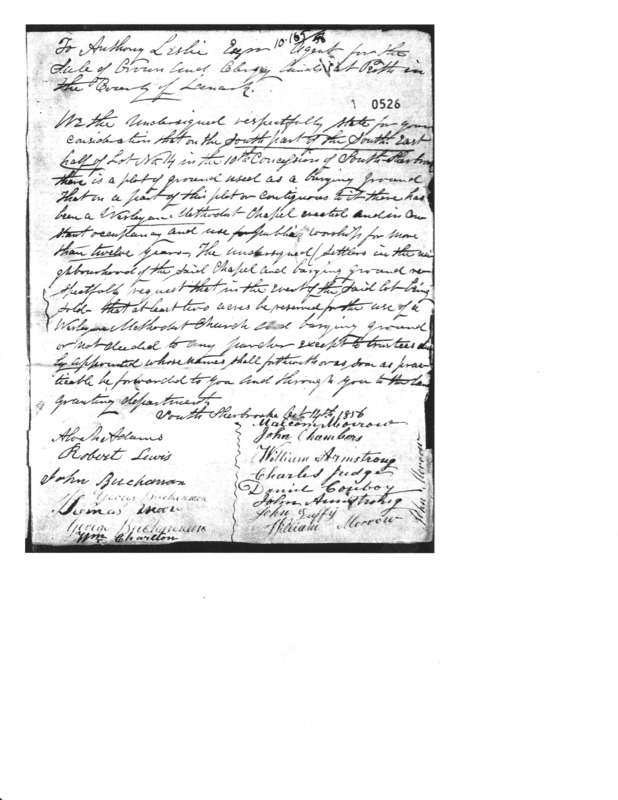 10 Lot 14 of S. Sherbrooke and a petition that was signed by local residents in 1852, including Thomas Moore Esq. (later magistrate/Justice of Peace/Reeve) and many of the early settlers of that area. This chapel and old burying ground is no longer visible, but we are cooperating with local families to research and locate the original location of these sites and preserve what we can of local history. More photos from our last trip. 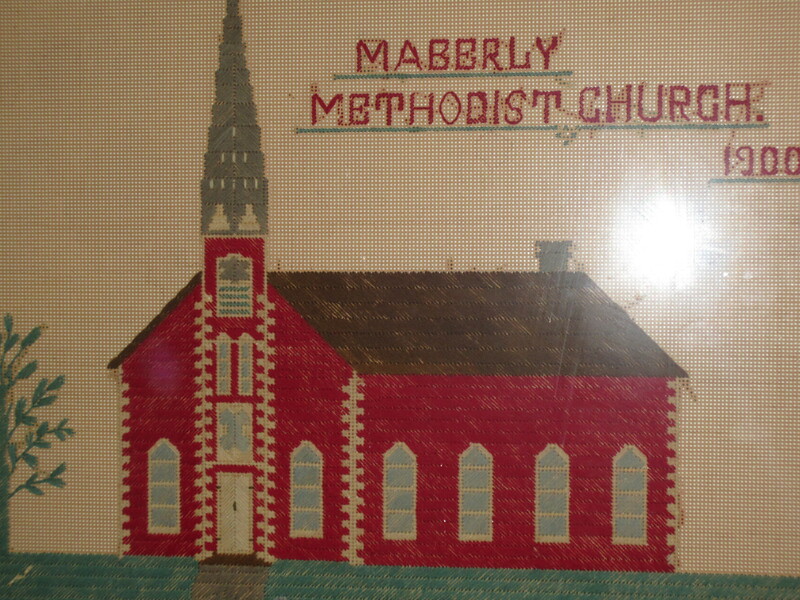 Bethel (Maberly) Women`s Institute, a picture of the Maberly Hotel. See pic below for the same tree beside the hotel, still standing. 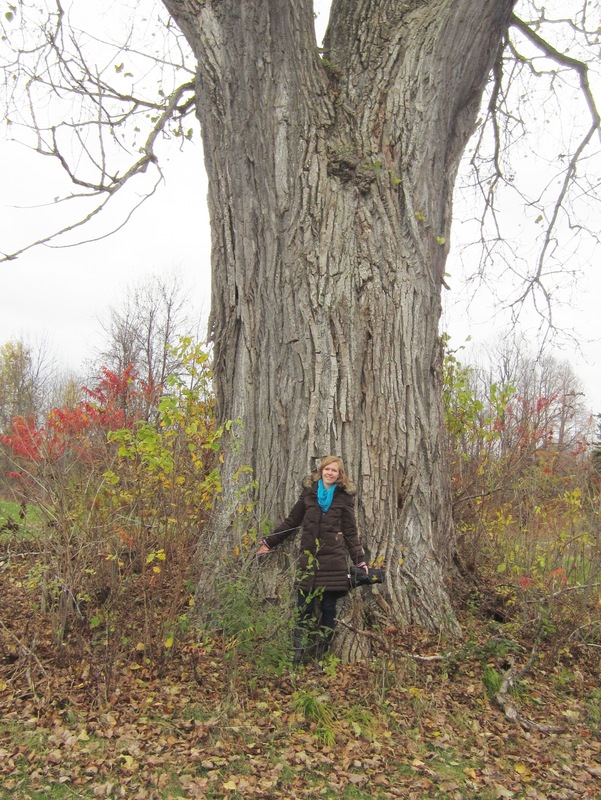 Krista in front of oldest tree in Maberly, where John Morrow’s Maberly Hotel stood. We visited Town Hall where my forefathers, both Thomas Moore Esq., Reeve, and Ephraim Deacon, Reeve, served on council for many years, and many of their descendents. Thomas Moore Esq. 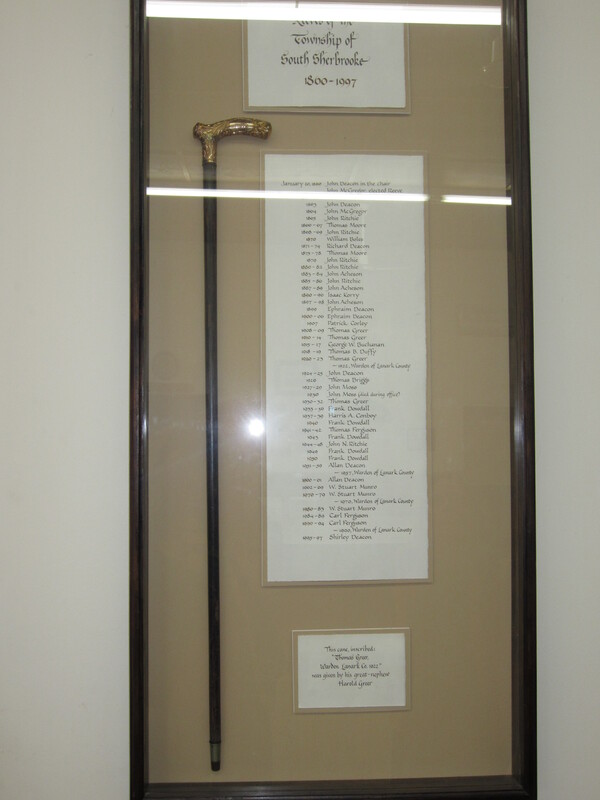 was also a local magistrate or Justice of the Peace to the King, and must have been sworn in at some point by the Lieutenant Governor General. Magistrates were put in place in local towns in the new British colonies to settle local disputes outside of the larger courts. He was not likely a lawyer, but a loyal servant who was passionate about politics, justice and local law. He fought to preserve the original Weleyan Methodist Church and old burying ground, in a signed petition with his fellow settlers and trustees of the church. Here we are on the land that William Moore worked with his father, originally owned by Thomas Hughes and later requested to be deeded to Robert Hughes. 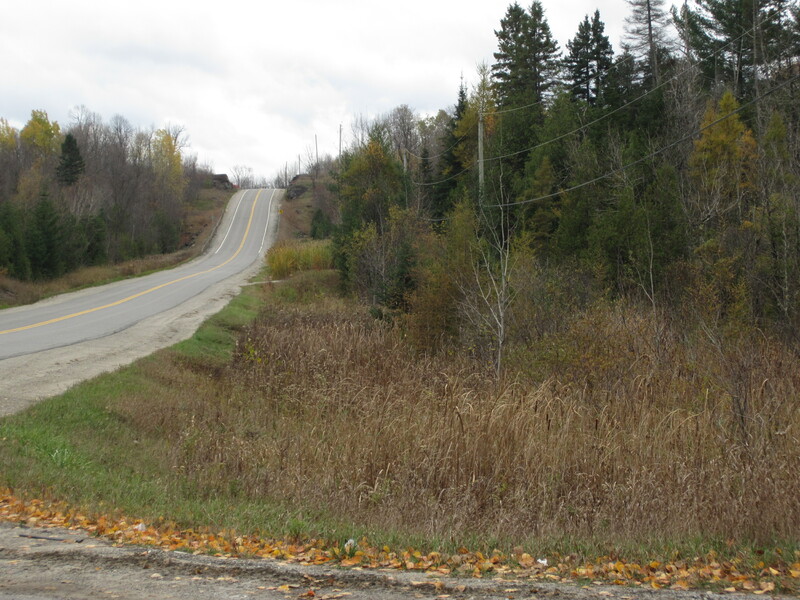 It is where the Zealand Rd meets the now Trans Canada Highway, Highway 7, constructed in the late 1940s/50s. The lines of the land have changed, so locating the original burying ground has been a challenge. The land is now occupied by a modern house with new owners. 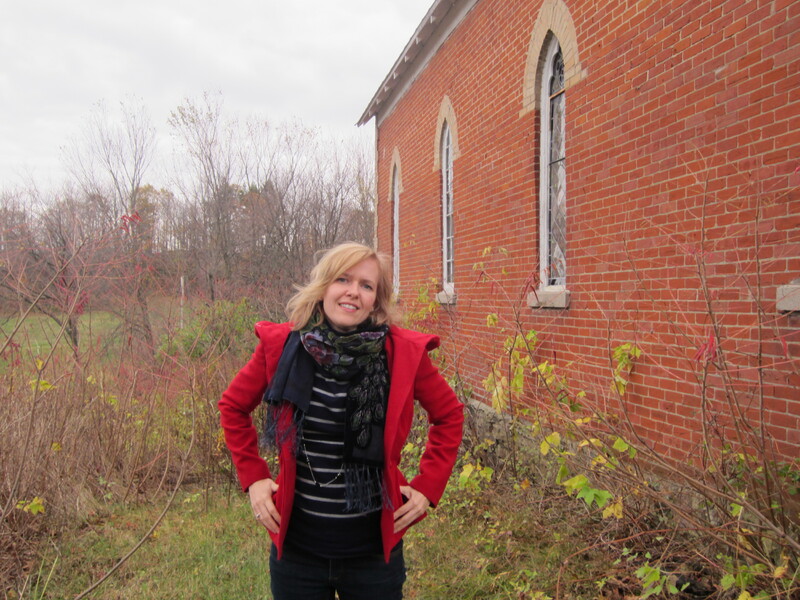 Krista beside the now Maberly United Church. Below an embroidered picture hanging in the local bar and grill on Highway 7.